Richard Parsons will run the Los Angeles Clippers. 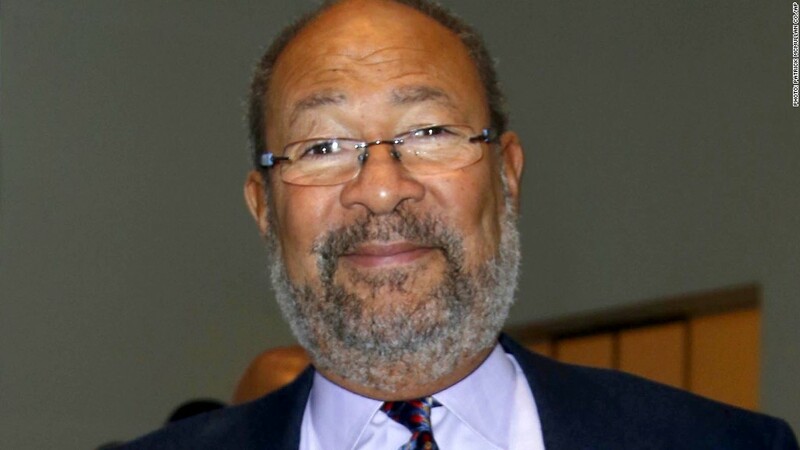 The NBA has named former Citigroup (C) and Time Warner (TWX) chairman Richard Parsons as the new interim CEO of the NBA's embattled Los Angeles Clippers. The move follows the lifetime ban given team owner Donald Sterling last month by NBA Commissioner Adam Silver after Sterling was recorded making racist comments to his girlfriend. Silver also fined Sterling $2.5 million and asked the league's other owners to force Sterling to sell the team. "The first order of business is just to settle everyone down, and get everyone back to doing our jobs," Parsons told CNN's Rachel Nichols. "There will be some disturbance in the force from time to time, but that's not going to affect us. That's going to be the NBA's job to work through the turbulence of these ownership issues," Parsons added. The new interim CEO of the Clippers said he believes he was chosen because the NBA was looking for someone who was "not a usual suspect" and that the league wanted a person with some broad-based experience at a high level. Parsons also told CNN that while being African-American certainly won't affect his decisions or relationships, "Symbolically, it could affect the way people see the Commissioner's commitment to this, which is significant," he said. Parson's plans to be in Los Angeles on Monday for a press conference and to begin working with the team, although he has already spoken via telephone with Doc Rivers and a few others in the organization. "This is actually a large and important issue not just for the Clippers or the NBA, but for the country in some ways," he told CNN's Poppy Harlow. "I am happy to help...I love the game," he said. Commissioner Silver said during the April 29 announcement of Sterling's ban, that the punishment did not apply to Sterling's family members. "This ruling applies specifically to Donald Sterling and Donald Sterling's conduct only," he said. Shelly Sterling, the estranged wife of Donald Sterling, is in talks with the National Basketball Association about retaining her 50% ownership in the team. Pierce O'Donnell, the attorney for Sterling, told CNN that she wants to retain her interest in the team, even though her husband is being forced out. O'Donnell said she is not interested in taking an active role in managing the team, nor would she participate in decisions over trading players. Since Silver's announcement, several high profile bidders for the team have emerged. A spokeswoman for Oprah Winfrey said she had been in contact with media mogul David Geffen and Oracle (ORCL) CEO Larry Ellison about a joint bid. Geffen's spokesman also confirmed his interest. Retired boxer Oscar De La Hoya has also said he wants to make a bid. Sterling reportedly bought the team for only $12 million in 1981. Its current value is estimated at $575 million by Forbes, which tracks team valuations. But Patrick Rishe, a professor of sports business at Webster University, said the team is worth at least $750 million, and that a bidding war could take the sales price up to $1 billion or more. Time Warner is the parent company of CNNMoney. --CNNMoney's Chris Isidore and CNN's Rick Davis contributed to this report.